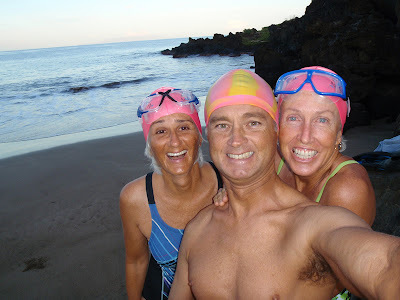 I can't believe I let Janet & Patti drag me into the ocean for a swim before the sun was even up. That is hard-core. 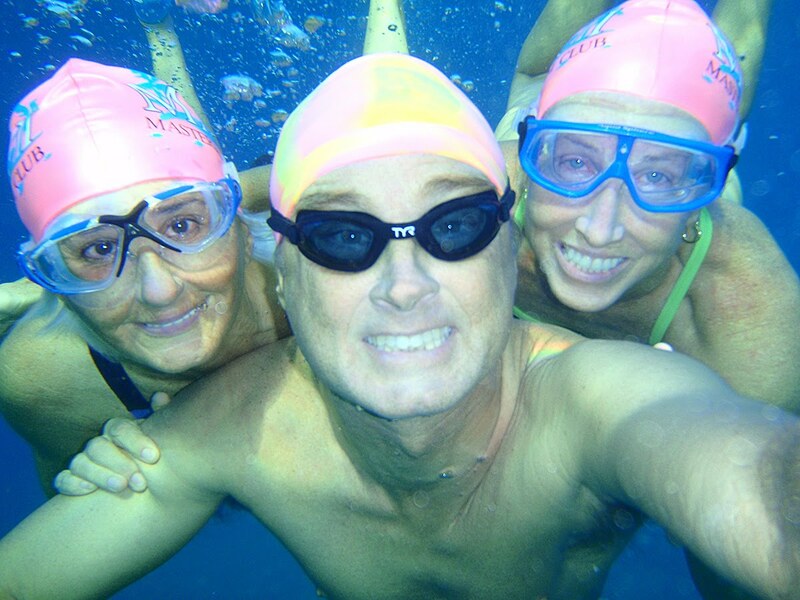 It was definitely a workout swim, the kind they do every Tuesday and Thursday, and the kind I never do. Fortunately, Patti is easily distracted by the pretty fish (see photo above), so we did get a little rest from time to time.